You were culturally active before and during the country’s war of national independence, which was a culmination of a series of social, political and cultural movements against the Pakistani military rulers of the day. What were your political motivations behind your active role in the war of national independence? My activism primarily was poetic. This was the time when we were imagining ourselves as a new political community representing urban middle class. We thought imagining ourselves as a homogenous population was possible because by then agrarian Bangladesh was undergoing transformation. Zamindari system has been abolished and the possibility of an agrarian capitalist transformation in a progressive sense was becoming imminent. Since the colonial period, peasant movement was primarily focused on land reform measures to change land ownership and production relationships in land. Despite the fact that zaminders were also members, a major step in the direction of land reforms dates back to the formation of Bengal Land Reforms Commission in 1940, Francis Floud as the chairman. We must remember the contribution of AK Fazlul Huq and his Krishak Praja Party. The fascinating part of the history was that Floud recommended abolition of zamindaris, which meant abolition of all rent-receiving interests above the tiller of the soil. All subinfeudation of land holdings was abandoned. The commission wanted abolishment of all interests existing between state power i.e., the government and the peasant behind the plough, the actual cultivators. Before the draft legislation to abolish zamindari could be passed, we were in 1947, Bengal was partitioned. The point I am raising is, that in 1947 imagination of the peasantry at large against the zaminders and mahajons, who were mostly Hindu, played the major role in forming the ideology of Pakistan. However, it started to change immediately after 1947 with rise of the new technology of communication, i.e., print technology, creating possibility of a ‘pramit’ bangla and a literature that could appear as homogenous in contrast to diverse idiolects. The so-called banglabhasha of print-language created a homogeneity through a unified field of exchange and communication and created possibility of a new national consciousness. This time imagining the new political community came from urban middle-classes in contrast to the peasantry of ‘40s or the peasant movement led by Sher-e-Bangla AK Fazlul Huq. Given the colonial education received by the urban educated middle-class, and their familiarity with colonial history rather than their own past and own people, the nationalism of 1971 was shaped by linguistic model. Nevertheless we retained the contradiction between our peasant mind and colonised urban mentality lacking any sense of history. This background is important to understand the role many of us played in 1971. I particularly would like to mention about Ahmed Safa, Humayun Kabir and most of the members of Lekhak Sangram Shibir. Lekhak Sangram Shibir was led by Safa; the radical poet Humayun and I played organising role. Safa, on one hand, was critical of peasant mind or peasant imagination, very obvious in his monumental essay ‘bangali musalmaner mon’, on the other, he was akin to and great fan of European enlightenment. He is interesting because in him we can identify the dilemma of that period. The same dilemma is quite obvious in my first book of poem titled ‘Khokon ebong tar protipurush’. This was the struggle of the poet who is encaged in urban middle-class imaginations, created by the poetics of print-technology, i.e. adhunik bangla kabita, but who could easily anticipate the arrival of a new bloody era of battle field not merely outside, but inside as well. A historical battle between two types of political community — the community of the masses and the community of the urban middle class. Unfortunately, until today we failed to settle this dilemma, contradiction and antagonism – no matter how you phrase it. So, culturally speaking, I do not agree with the way you have posed the question. 1971 was not the culmination of a series of social, political and cultural movements against the Pakistani military rulers of the day. This was how it appeared and became the dominant narrative of that faction of elite Bengali middle-class lacking understanding of history and the dynamics of the class and cultural struggles. History to them is only the ‘9-month-of-war’. It is rather culmination of the unfinished tasks of peasant revolutionary movements – failure of the anti-feudal democratic forces both in India and Pakistan and our failure to constitute ourselves as homogeneous political community. Again, from cultural point of view, it was inevitable, because the so-called Bengali imaginations of literate population created by print-technology are perversely posed against the culture of the masses, their daily individual and collective struggle. Bengali nationalists imagined that they can constitute a political community based only on language and culture. But when after 1971, peasantry started to reassert the role of Islam and the values and cultures they cherish, we ended up splitting into two political camps. Now it has erupted as war between secularists and the Islamists – threatening the very existence of Bangladesh. 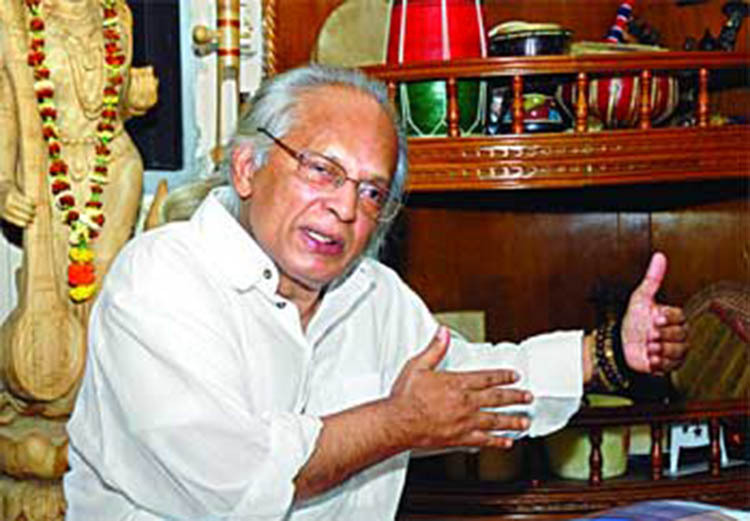 All along these years, my primary motivation as a cultural activist, was to resolve this historical contradiction and explore ways to constitute us as a political community that could integrate mass imagination into the imagination of the urban middle-class that played positive role in 1971, or vice versa, making Bangladesh a viable state. We must develop cultural capacity to fight against the present era of imperialism, particularly the so-called war against terrorism that targets mainly Muslim population. We must learn ways to become a part of global community and reject all forms of identity politics — language, culture or religion, except what Gayatri Spivak calls ‘strategic essentialism’ — an identity that is strategically necessary to confront predatory cultures and imperialism, without reducing it as our sole essence, our eternal identity. Except this strategic essentialism, I oppose all forms of identity politics. I am not a Bengali nationalist or a Bangladeshi and thanks Allah, I am not an Islamist either. We may blame each other and cut each others’ throat. But we must contemplate on what went wrong in our history, what were historical accidents that cannot be understood in linear simple terms, what are the socio-economic and political dynamics of our historical formation that is full of contradictions and problems. I was striving to become the voice of the time, struggling hard to aesthetically capture the emerging subjectivity that was forming during the early periods of liberation movement, before ‘71. It was not an easy task. My political motivation was also guided by the keen interest in demonstrating the political possibility of poetry, but not to reduce poetry to achieve the goal of politics. Honestly speaking, I am not an intellectual or cultural activist. My hesitation comes from the dominant notion of such terms. They conveniently cloak petty-bourgeois egoism as if we can indeed contribute to resolve the challenges of our time by merely being ‘intellectual’ or ‘cultural’ activists in urban elite setting. I would rather invite all to the festivity of being together, to be inclusive as much as possible without denying the spaces we need to explore ourselves on our own. We cannot solve the problems of the real people by constructing imaginary ‘people’ and their imaginary ‘problems’ in drawing rooms, that only fits our own intellectual and cultural prejudices. This is what I have learnt from Mao Ze Dong – the cultural of massline – the line that empowers the oppressed. Yes I have always followed the massline. We are afraid (and perhaps intellectually incapable) to question our prejudices; for example, our notion of ‘nationalism’, our totally unhistorical and often Eurocentric (if not racist) conception of ‘secularism’ as if all societies must be casted by the model of the Europe, or America. Our persistent effort to contrast ‘secularism’ against ‘Islam’ or Islamism is simply amazing. Our Idea of Islam – that never goes beyond theology and clerical explanation devoid of philosophy or even the very primary nuances of the Sufis is bizarre. There are many types of secularisms as there are many kinds of Islams; however, we do not even recognise the need to understand different trends and politics, we rather love to throw and divide all in two baskets. We are not even aware that in the name of ‘secularism’ in the era of ‘war against terrorism’ we often unknowingly implement the ‘Project of New American’ century. We are not mature enough to draw our difference from the predatory and violent politics of George Bush, the junior because we insist, like any cleric, to understand Islam as theology or political project to establish the rule of the Muslims. We cannot read Islam as philosophy and culture. For historical reasons, urban middle-classes are largely communal because of the legacy they carry from colonialism and their inability to reckon with anything which is ‘strange’ to them, even the indigenous tradition is nothing more than ‘native’ culture in colonial sense; in their discourse they are discussed as ‘lokayata’ or ‘oitijjaya’ — culture of the local people in contrast to ‘global’ —- lacking any universal or global significance. We have deep prejudice against theology, religion or any unfolding of the spirit that confronts the project of ‘modernity’, i.e., colonialism and imperialism. These are all manifestation of the historical failure that I spoke before. Why have we not yet been able to institutionalise representative democracy in the true sense of the term? How much responsibility would you attribute to the political class for this failure? And what is about the role of intelligentsia? While I understand ‘democracy’ as the possibility of constituting ourselves as homogeneous member of a political community, defined by democratic constitution based on the rights of persons with responsibility, I see no value to talk about ‘representative democracy’. I honestly do not know what representative democracy ‘in the true sense of the term’ means. Electing representatives to the parliament of a state constituted by undemocratic constitution cannot be democratic; for example. We have elected a parliament recently, but constituted the dictatorial power of a single person, Sheikh Hasina, because of the existing constitution. The challenge Lalon talks about is becoming One in Many. It’s not a problem of representation, but developing the capacity to become the will of the Many people in One: One becoming Many. I find this song a fascinating critique of representative democracy. What does it matter if I vote a person to represent my will formally? Is it not more interesting to see who in our time embodies the will of all in his/her activities? Does it matter if the collectivity is asserted by your name or mine? Many people argue that it is the weak political institutions and lack of democratic practices in and among the political parties that has always paved the way for military intervention, direct or indirect, in the country’s political process time and again. What should the political parties/parliament do to ensure civilian control over military establishment at the moment, and stop recurrence of any extra-constitutional take over of power by the military in future? I think we must understand the intellectual and political capacity of the dominant middle-class, or ‘bourgeois’ as we can call them politically. Although commercial capital relations have become the dominant mode of economy, we are a society where capitalist relation of production is still stagnant. The highest economic idea of poverty reduction that this class could produce is providing credit to the poor. What else can you expect from this class? Given the military rule of the last two years — we are now collapsing as an economy. So, it is not a problem of institution building but the failure to create economic (material) condition to build democratic institution. I am afraid we are heading for far worse period than we experienced earlier. I anticipate fascistic and anarchic tendencies and rampant human rights violations. We definitely have bad times ahead. Secondly, whether you admit it or not — the power of the political parties are derived from the army they maintain. Army rule only reveals the dictatorial and coercive power of the ruling class. In a way it is better for the masses, since they can see and experience the naked power of the ruling elite and realise the futility of the present politics. We need radical democratic change — I guess all the experiments with liberal democracy have terribly failed. We must rethink the future tasks and paths for democratic transition. As you have noticed, I have tried to respond to the questions from cultural perspectives. I think the problem should be located in the historical development of the Bengali middle-class and their cultural mind. So far we have seen that they are capable of breeding anarchy or fascism — and not democracy. A promise of the independence movement was abolition of economic disparities among citizens. But the promise still remains unmet. What, in your view, are the weaknesses of the economic policies pursued by the subsequent governments of Bangladesh that have failed our people to get their economic aspirations met? If you are referring to the so-called idea of ‘socialism’ during the ‘70s, we should be careful. These ideas, in most cases, were actually socialism of the ‘feudal’ or petty-bourgeois classes and therefore ended up being bureaucratic capitalism in economics and one-party fascism in politics. Culturally, it produced rampant racism. I will argue that such ‘socialism’ was one of the main reasons that we failed to install ‘democracy’. Secularism was one of the fundamental principles of Bangladesh during its emergence as a nation state. But, the state has deviated from its original commitment, and finally a military ruler has made Islam the religion of the state. Now that an elected government is in power and that too with a three-fourths majority in parliament, can the country’s secular democrats expect amendment to constitution to restore the secular principle of the state? I have only one humble observation with regards to this question. If we are indeed committed to have democracy why do we need to talk about ‘secularism’ separately? Democracy implies that the state will not be based on any theological principle but only on the democratic will of the people. Democratic state by definition cannot be anything but secular. Why do we need secularism over and above ‘democracy’? First, it manifests our lack of understanding of both ‘democracy’ and ‘secularism’. Secondly, the partisan political force that included secularism over and above democracy as state principle had very different intention than ‘secularism’ as we understand from the history of Europe. They actually posed linguistic cultural identity against Islam. They believe that Bengali nationalism is incompatible with Islam. Islam has been seen as antagonistic to linguistic nationalism. Islam as an integral component of Bengali culture has also been systematically denied. So here again we see the antagonism between urban middle-class and consciousness of the popular masses — the urban elite middle-class who under the cloak of ‘secularism’ intended to confront Islam is now facing militant Islam as an outcome of this lack of minimal conceptual understanding of democracy and secularism. Masses, of whom I was speaking earlier, accordingly interpreted secularism as a political project against Islam. They reacted against this project creating political space for Islamism. I am afraid we have lost cultural opportunity to resolve this grave problem.